Gog Magog has consistently received glowing reviews from Golfshake members and has been awarded the coveted Highly Recommended status. Having recently completed a programme of renovations on its two courses, Golfshake sent Ambassador Rob Treanor to report on “the links on the hills”. 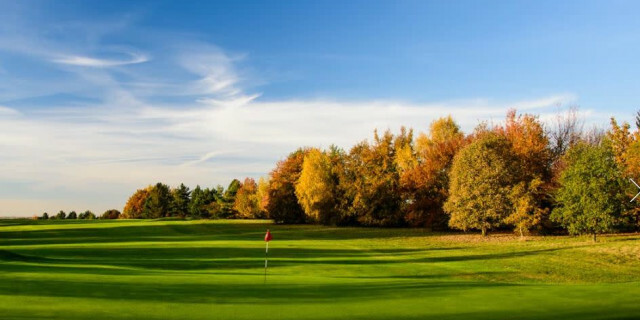 Gog Magog is a 36 hole championship standard venue sited just outside Cambridge City Centre. 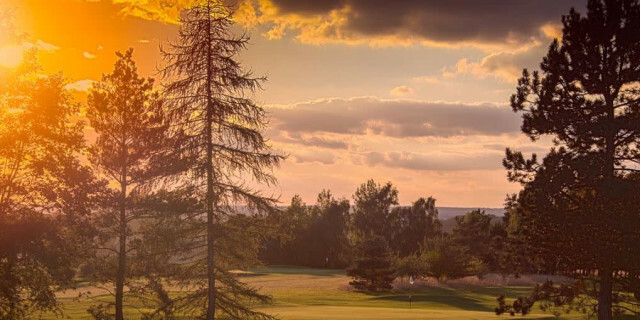 The dramatic chalkland hills make this a unique venue, offering two very different 18 hole courses to experience. The club has been an Open Qualifying venue and plays host to a cohort of elite amateur events, including the annual Lagonda Trophy. The hilltop location and free draining chalky terrain mean the courses are open throughout the year offering an often windy, inland links test. Given the influence of notable Scottish architects when the club first opened in 1901; it plays not unlike the courses where golf was first invented. 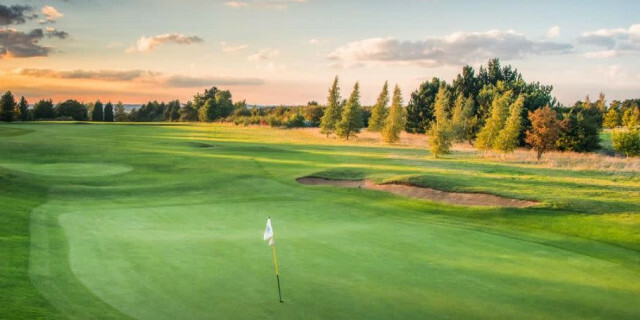 The club boasts excellent warm up facilities; with a comprehensive short game area, a putting green for each course and what must be one of the largest driving ranges in the country. 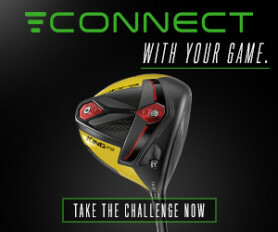 There is an excellent pro shop staffed by a very friendly team who are more than happy to advise on the challenge ahead. The large clubhouse has also been refurbished and extended, making it a comfortable place to relax and refresh before or after a round. This is a handsome, distinguished course which has bags of character and can be gruff in places. After a straightforward and welcoming first hole, the intimidating tee shot on the second is played over an old lime quarry which is out of bounds for the many balls which become magnetised by it. Having made it safely over the danger, the hole doesn’t relent as the second shot is hit steeply uphill to the summit of the terrain. The green holds plenty of trickery too; with a slope from back to front meaning par here truly has to be earned. Once the ascent is complete, the undulating plateau results in easier walking, though the ripples which run through these fairways will ask many questions. The par four third creeps to the right around a woodblock which big hitters may be tempted to carry. The safer ploy is head dead straight over a fairway bunker to keep the ball in play on the short grass. The second shot is played into a long, narrow green which features characterful runoffs and undulations. A chip and run could well be the best approach to keep the score ticking over. The Old Course has many unique and historical features such as the pit which splits the par 5 8th fairway. There is the opportunity to open the shoulders from the tee and strike the ball to a generous landing area, at which point the golfer must the assess whether they have carried far enough to take on the escarpment with their second. When the course first opened in 1901 there were no bunkers until esteemed architect of the day Willie Park Jr (think Sunningdale and Gullane) was contracted to advise the club on enhancements. The pit which features today was the result of sand being found in the terrain which was subsequently excavated and used to create the first bunkers at the club. Once past the danger on this par 5, there is an attractive shot into a two-tiered, bowl green. A fair test of golf, good play will result in a corresponding result if the right shots are chosen, but this crafty hole can be equally punishing if played poorly! The back nine starts strongly with a typically characterful par 4. The tee shot is played over low ground to a plateau before running down sharply towards the green. A good first stroke which makes it past the plateau will benefit from plenty of roll towards a shallow green which can be difficult to hold. Not only does the ground in front of the green run from right to left but beyond the land falls away, making this a stern test. Good judgement and skill is the only way to make sure this attractive hole results in a positive outcome. The par 3s do not surrender points easily and the 13th is a case in point. 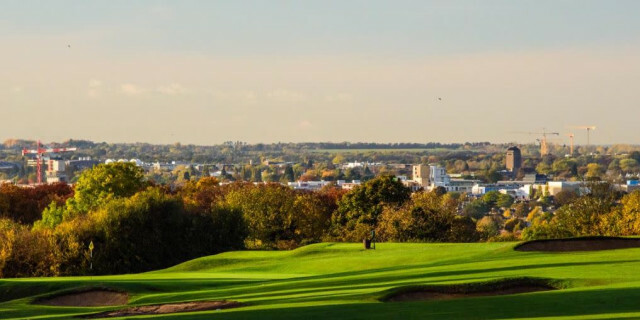 This hole has stunning views over the city of Cambridge, though focusing on the near ground reveals a demanding tee shot which ideally needs to be drawn in towards the green. Most of the trouble is governed by the woodblock to the left and anything short will still require a good chip into a green which runs from front to back. There is evidence of human civilisations marching across this terrain for two thousand years across a Roman Road at the top of the landscape. Today’s leisurely pursuit of balls down the well-tended fairways is easier going than the harsh lifestyle of Roman soldiers in times gone by. Passing the Roman Road marks the start of a very strong sequence of holes where the course really starts to come alive. Rarely are views as appealing as the tee box at 16 on the Old Course. This brute of a hole plays all of its 446 yards even when the wind isn’t up! 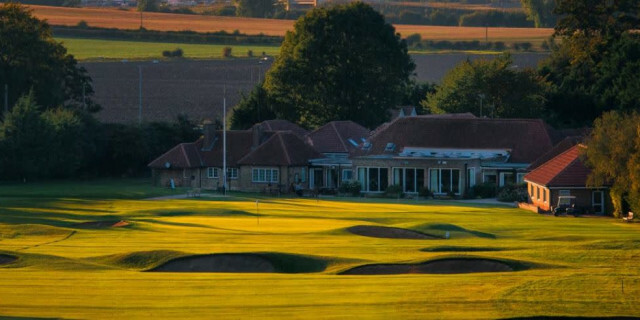 The stunning views over Cambridge from the tee box are complemented by a downhill tee shot to a wide, generous fairway which features the undulations and rumbles of a classic links course. Whilst the WW1 trenches nestled in the scrub to the left are less obvious today, the feature dominating the hole is the enormous cross bunkers which fully dissect the fairway two thirds of the way to the pin. With warm weather the ball can roll all the way to the sand from the tee so once the view has been admired, the golfer will have to focus on which club will give the best chance of reaching the green in two. Grass bunkers and run offs protect the green which runs from back to front… a par on this hole can be hard to come by. A sumptuous par 4 completes the round played from atop the plateau of the Gog Magog hills before descending down towards the clubhouse. There is a wide, tree lined fairway to take aim at, with bunkers well placed to catch and punish errant shots. A downhill second played into a deceptively large and deep green may coax many into a sigh of relief as thoughts ebb towards the allure of the clubhouse beyond. Concentration on this green is vital as it is typical of others on the course with subtle breaks meaning the ball can meander in unwanted directions if not studied correctly. The outdoor terrace at the clubhouse is the perfect vantagepoint to watch other groups finish playing the 18th with a glass of something chilled in hand. The quality of the golf course design and facilities available at Gog Magog are excellent. 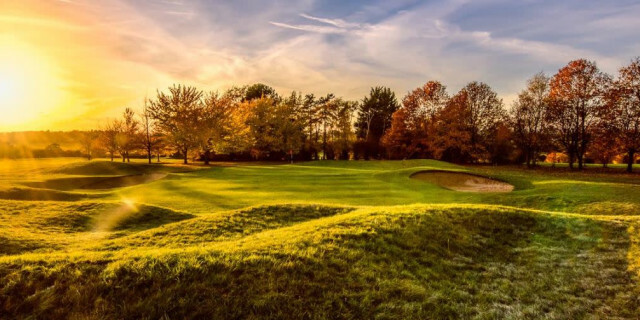 The further 18 holes available on the Wandlebury Course offer a very different type of challenge and this is an excellent layout in its own right. The area occupied by the club is designated as a Site of Special Scientific Interest, meaning there are rare wild flowers, deer and many birds of prey to appreciate on the way round. The hilltop location is unusual for the area and results in some wonderful views over Cambridge and even Ely Cathedral which is some 20 miles away can be seen on a clear day.